Simple, Safe and Effective Alternative for Terminating Wire Rope Assemblies. Gripple fixings provide the ideal suspension solution for heating, ventilation and air conditioning (HVAC), mechanical and electrical, lighting, acoustics and signage. Used extensively throughout the building, architectural, lighting and agricultural sectors, Gripple suspension kits are the perfect alternative to the traditional threaded rod solution and are engineered with simplicity in mind, allowing for significant savings in time and labour during installation. 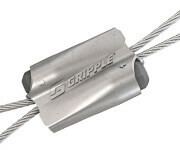 S3i are proud to be an official Gripple stockist and distributor. We will be offering the full range of Gripple products to purchase online as quickly as we can whip our web team in to action. Up to 6 times faster installation than traditional hanging systems. Versatile and simple to install, with easy adjustment for perfect positioning. 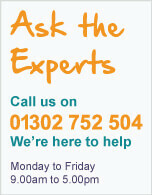 Gripple products can be pre-installed to reduce time working at height. 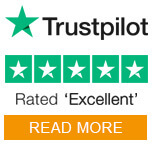 Strong, safe and industry approved with a 5:1 safety factor load rating. Aesthetically discreet and lightweight, perfect for use in retail and architectural installations. Delivered in ready to use kits with your chosen length of wire rope, pre-crimped end fitting, Gripple fastener and setting key. Wide range of pre-crimped end fixings available, providing a solution whatever the application. We also offer a selection of component Gripple fasteners, available individually. Gripple hangers offer the ideal solution to fulfil a variety of mechanical, electrical, HVAC, and lighting suspension requirements from a variety of substrates. 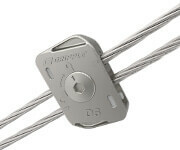 The fastest locking device available for quick, simple suspension of a wide variety of services. Designed with a user friendly, keyless release mechanism. 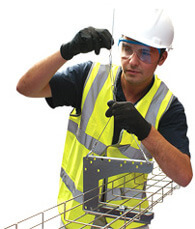 Create secure, overhead spans by running high strength wire between two fixing points. Designed for installations where no direct vertical anchor point is available, Catenary Kits allow lightweight spans to be created exactly where required for the installation. 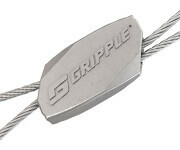 Gripple wire suspension systems will save you time and money.